A key component of most information security strategies is robust identity and access management (IAM). So how can IT extend this same security to a mobile workforce with personalized, won’t-use-anything-else smartphones and tablets? 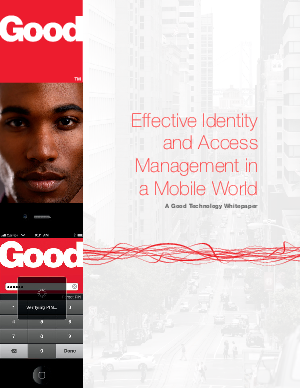 The solution is here: Read this white paper—Effective Identity and Access Management in a Mobile World—to learn how you can harness your IAM infrastructure to balance the freedom mobile users want with the security IT needs.